Hello folks, this is Penny! I have returned from my great trip to Oklahoma. It was very special, and I look forward to when I can gather the pictures together here for you to see. 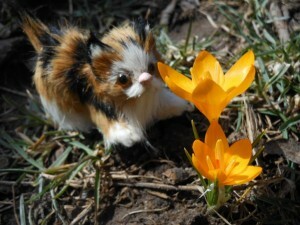 I was glad to find that after my absence the farm was a little more advanced toward springtime. 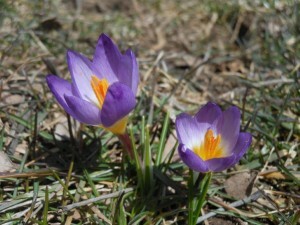 And now in celebration of Easter, I would like to share with you some pictures of the early flowers I found. Easter is the celebration of the Giver of Life! The triumphant resurrection of Jesus after He poured out His life in love for us on the cross. 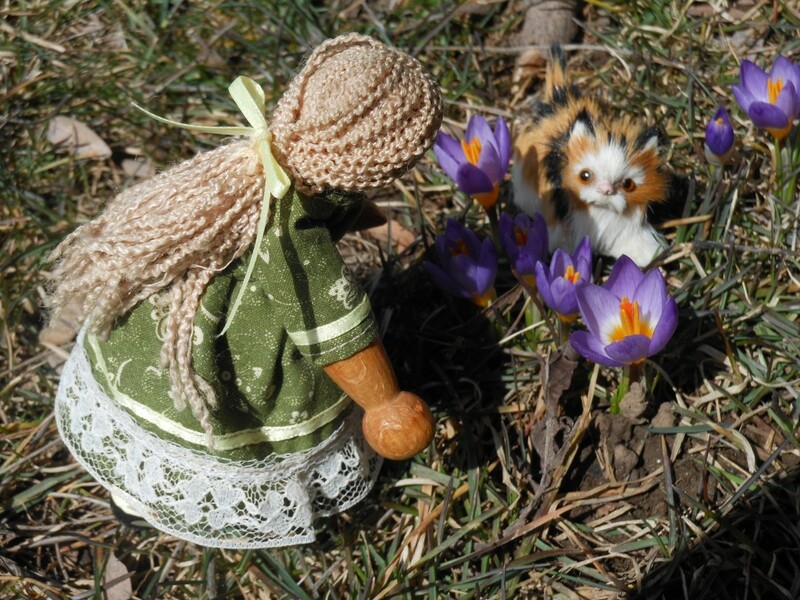 I like to celebrate Easter with sunshine and the grand old hymns that tell our Savior’s story in poem. Let me share some with you… Now, if only I could include the swelling music!! So I’ll cherish the old rugged cross…. Is there a dark domain in your life? Lives again our glorious King; Allelujah! Where, O death, is now thy sting? Allelujah! Dying once, He all doth save: Allelujah! Where thy victory, O grave? Allelujah! That grace and pow’r are in His hand. Soar we now where Christ has led, Allelujah! 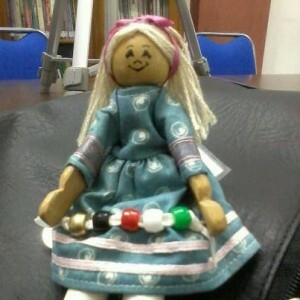 Following our exalted Head; Allelujah! Ours the cross, the grave, the skies. Allelujah! 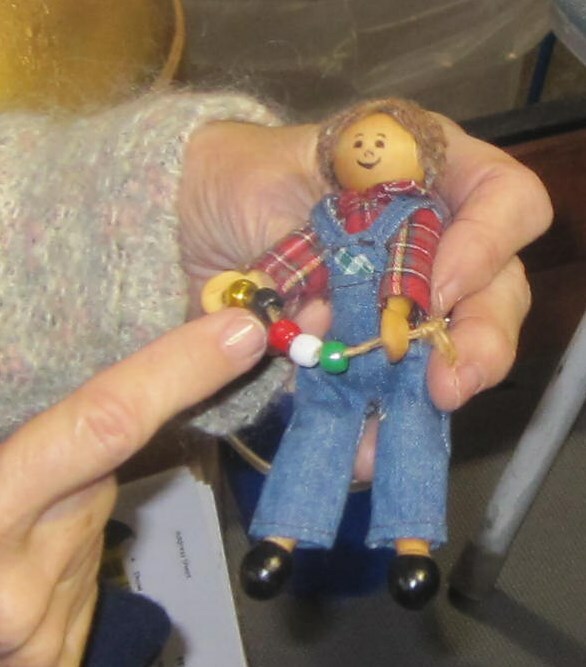 Mr. Bill Brown sent us some pictures of Little Farmer Andy at work! 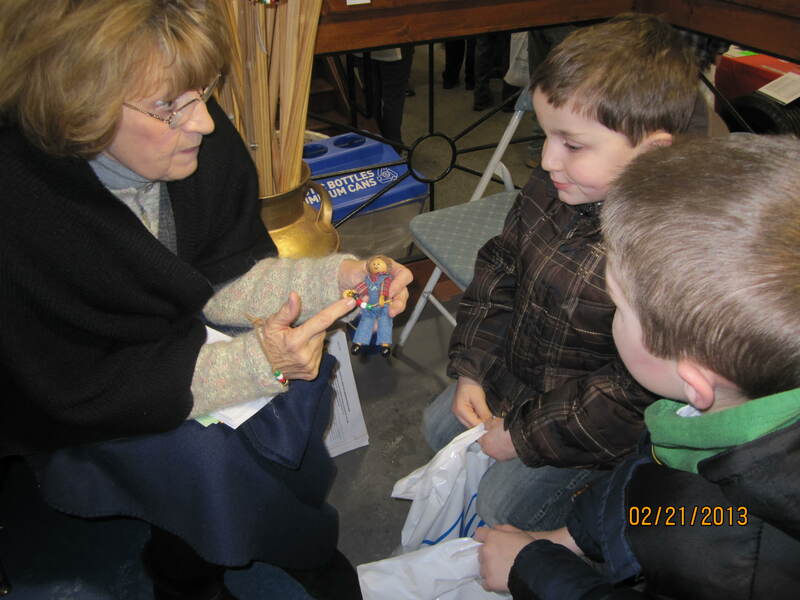 The Fellowship of Christian Farmers shares the bead story at farm shows and fairs, here are some of their recent activities. Read The Bead Story. 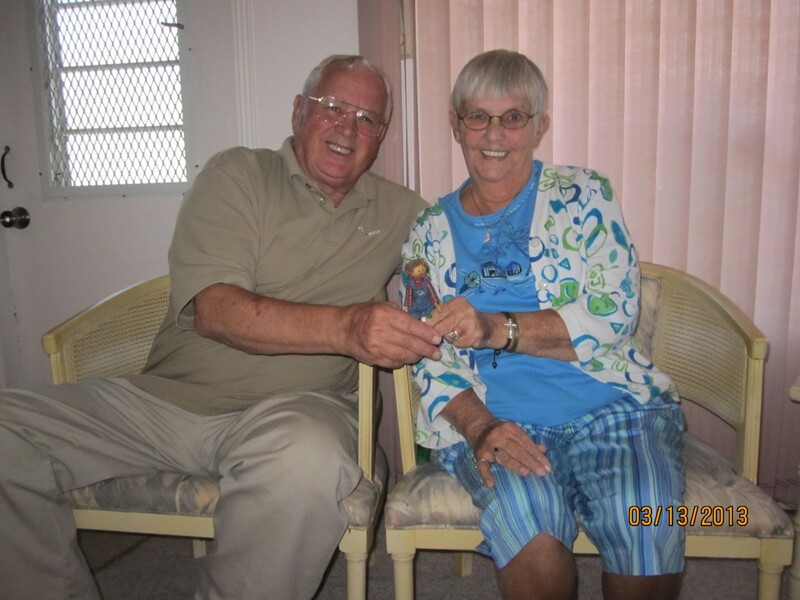 Below is a picture taken when Farmer Andy visited FCFI Board member Dave and Judy Porter, snowbirds from Adams Center, NY, in their Florida home, Venice, FL. Judy is having health problems so the visit. Part of Mr. Bill Brown’s job is encouraging folks. The Porters are long time supporters of FCFI. Farmer Andy will be travelling next (Mar 21-25) to exhibit at the Bluegrass Festival hosted by the Sertoma Youth Camp located in Brooksville, FL. I hope to get a picture for you. These shells came from Florida. 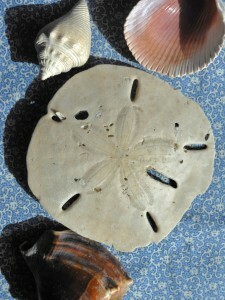 The sand dollar is a special illustration of the story of Christ. Notice the five slits, that could represent the wounds of our Savior, in his hands, his feet, and the fifth slit as the sword that pierced his side. 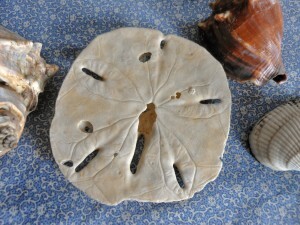 Shown in this lowly shell. 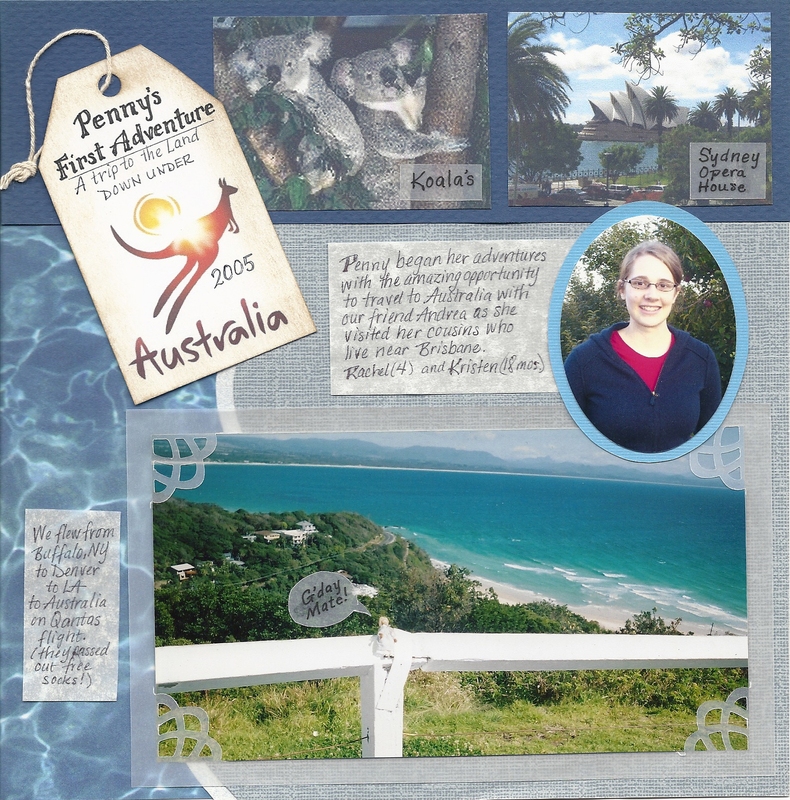 Penny first began her adventures with an amazing opportunity to travel to Australia with our friend, Andrea. Here are the pages we created for the scrapbook. 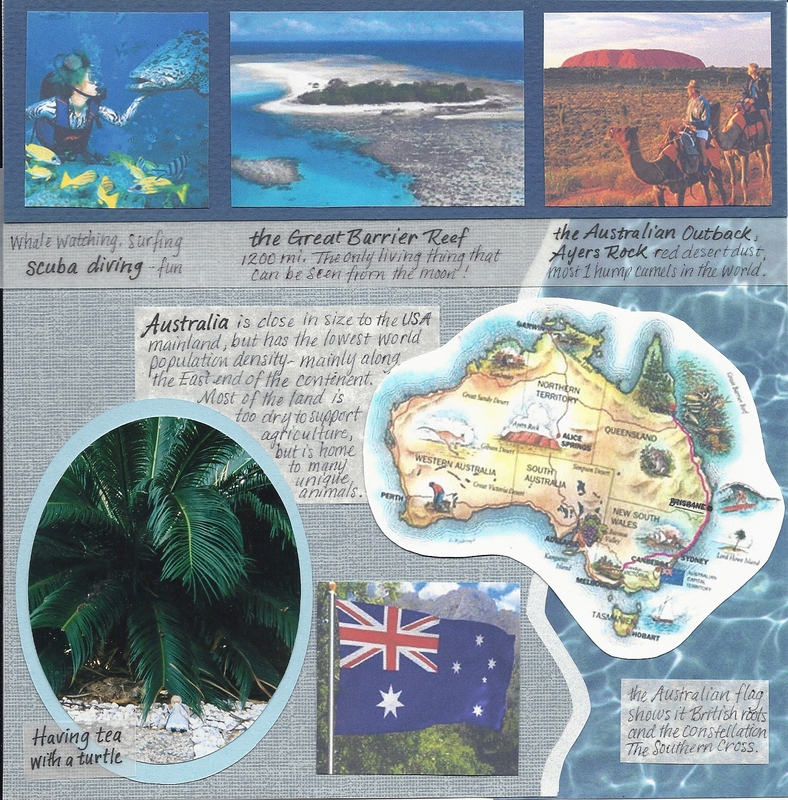 We added interesting pictures found online that feature some of the wonders of Australia. It was fun to research the unusual critters that live there. Remember when we traveled to Australia, the world’s smallest continent, in 2005? 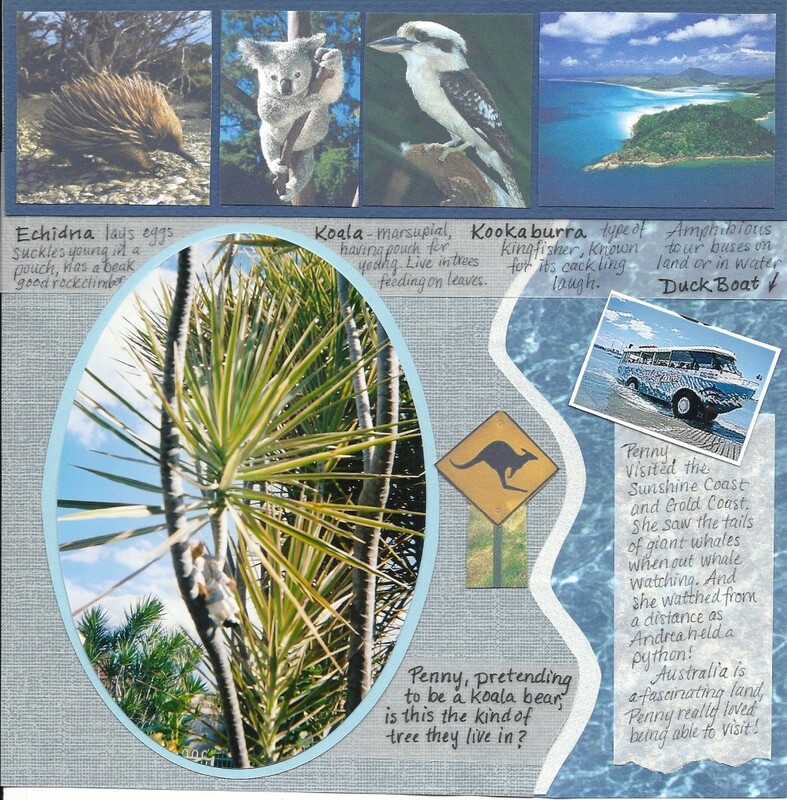 You sat in palm trees and met kangaroos, koalas, and kookaburras, birds that make a noise that sounds a bit like a person laughing. At night, we could see the Southern Cross, a constellation that isn’t visible in the Northern Hemisphere. 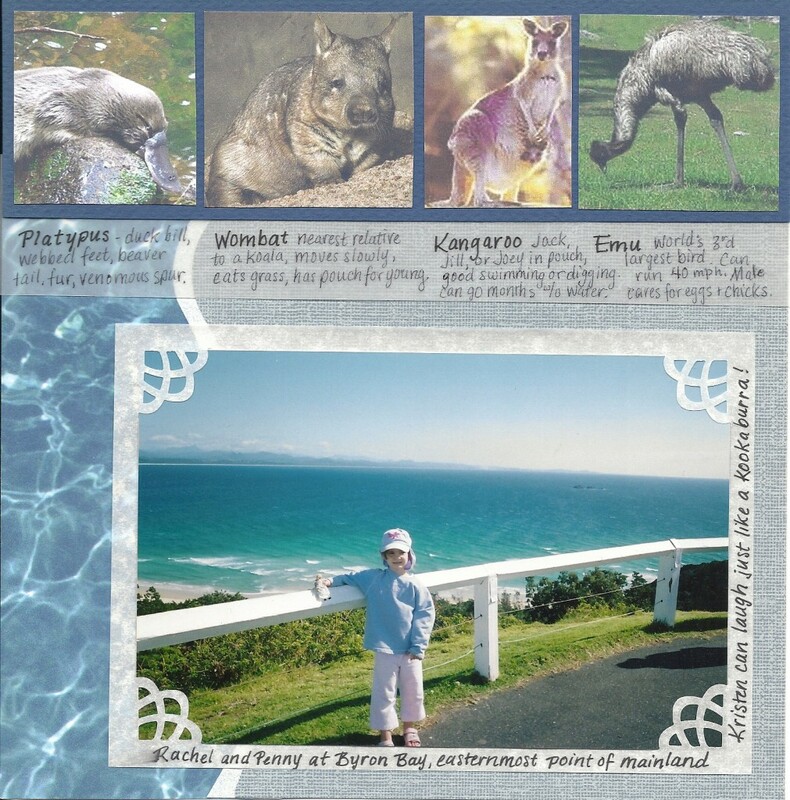 We took pictures when we visited Cape Byron, the most easterly point of the Australian mainland. We loved how clear the water was and how we could see the ocean floor beneath the sparkling waves. 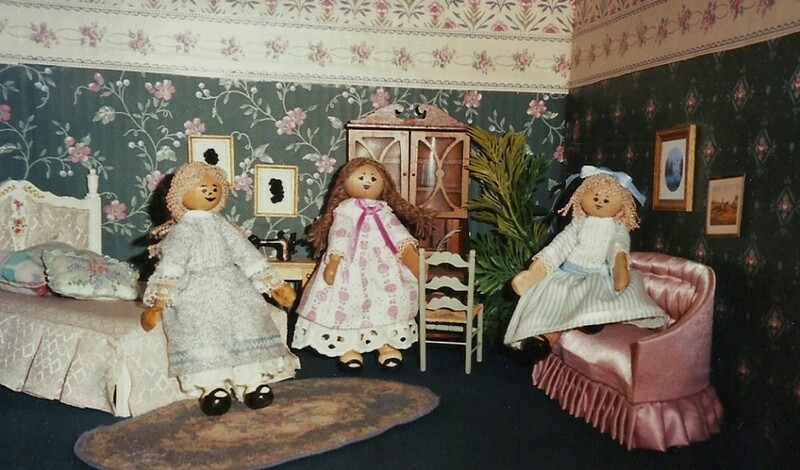 After Penny returned home to New York, we sent two dolls to live with Andrea’s relatives and become citizens of Australia. They probably have picked up a good Aussie accent by now, eh? Here they are pictured in Penny’s bedroom before traveling. 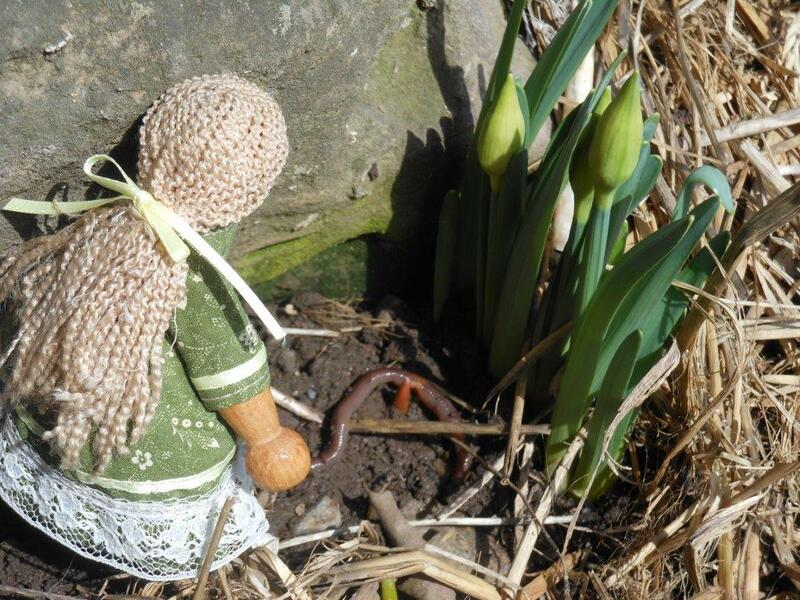 This is Becky writing, because Penny isn’t here, she has left on a new trip! The last I heard from her was when she was traveling through Illinois. She was passing through Abraham Lincoln Country where so many things there are named after that famous President of the United States. 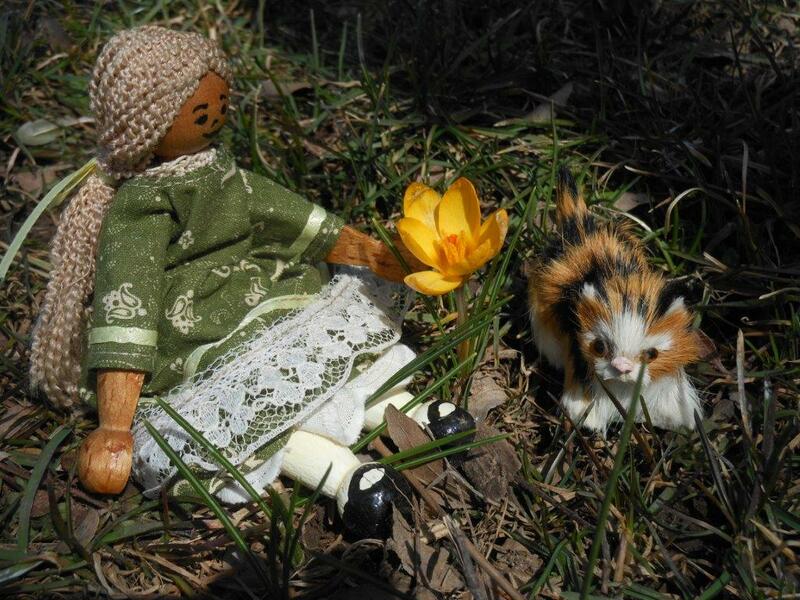 Penny was heading toward the big city of St. Louis where she would be crossing the Mississippi River. 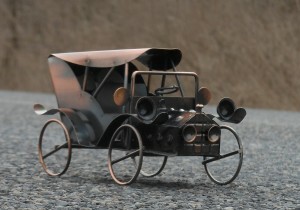 This is not really the car she is traveling in, but this is Penny’s little copper music box car from home. 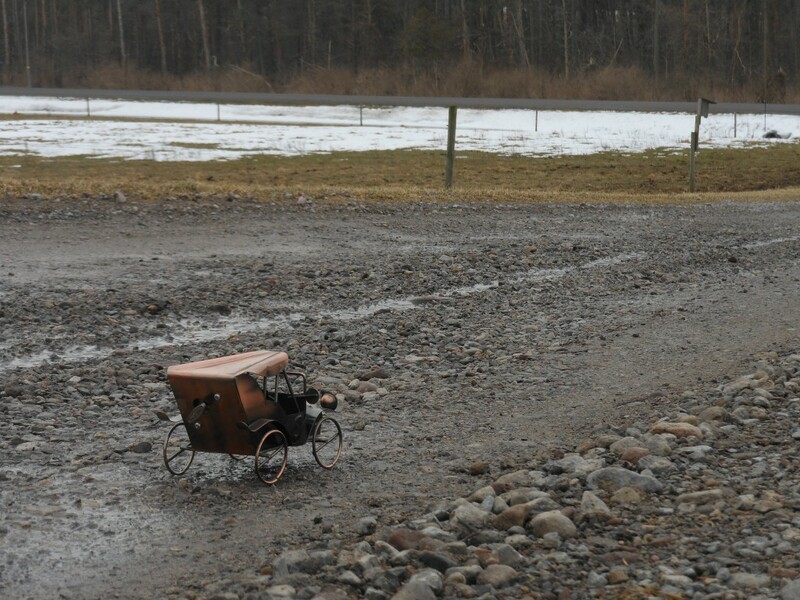 I took these pictures on our driveway to show you how the farm looks now without much snow. 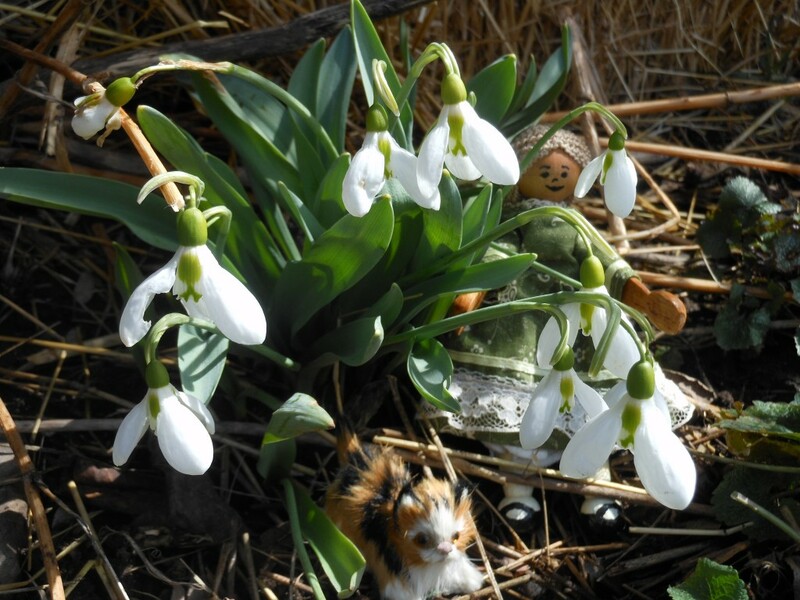 The grass is flat and brown, but the birds are busy singing the arrival of spring! I wish you could hear them sing so joyfully. The snow is melting away and there is mud everywhere. I wonder how much greener the farm will be when Penny returns? I can’t wait to hear about her newest adventure!! This Penny doll is now at the UKRIM seminary at Jogjakarta, Indonesia. the other girl is Christine, they will be sharing this cousin. Both of them minister in Sunday School and activities like Kids Klubs. 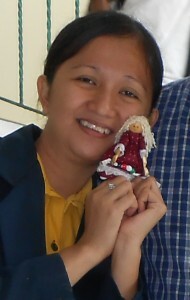 This is Lestari with her doll. 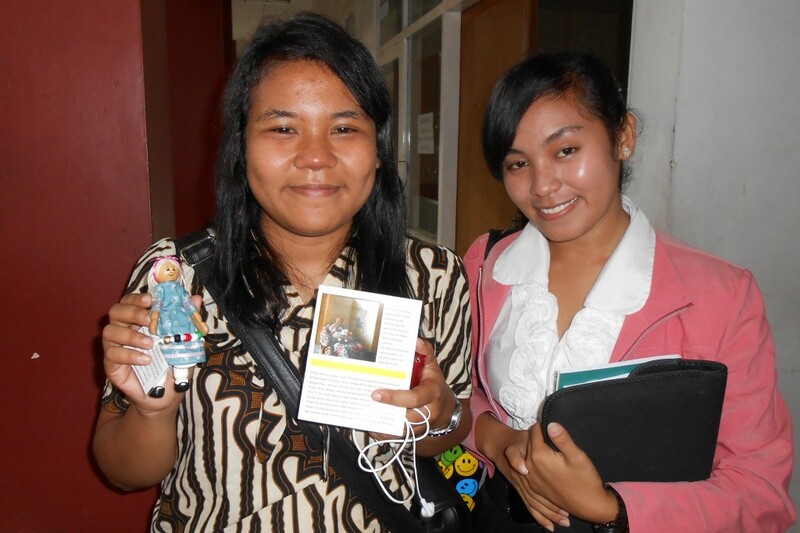 The three girls in the picture below are students at STTII in Jakarta. 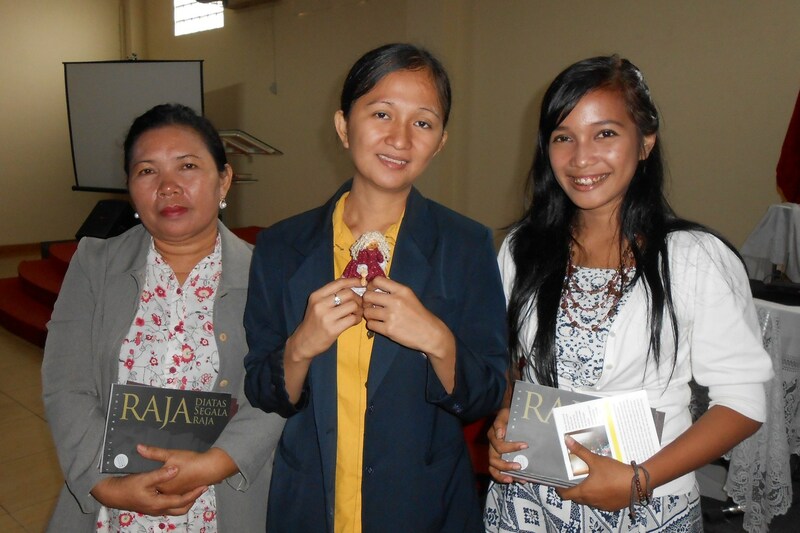 and the other two are Judika (left) and Dewi (right). 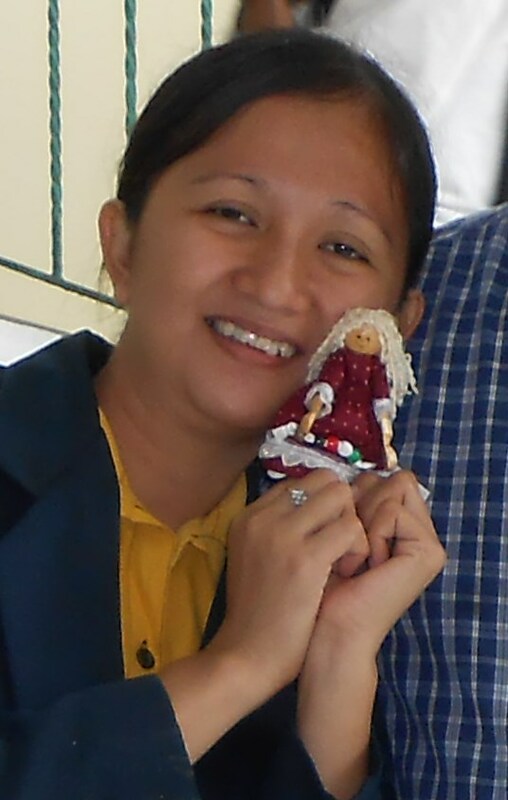 All are involved in ministry to children, like in Sunday school. 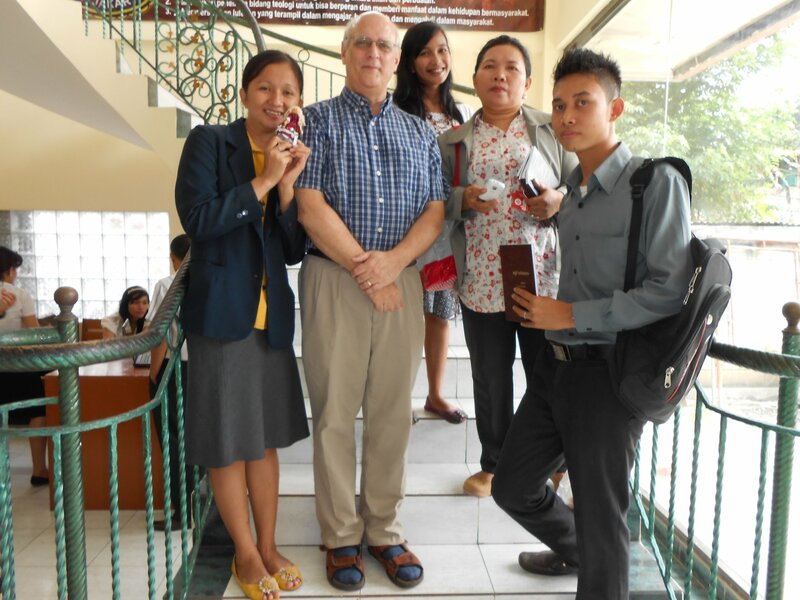 The STTII is a very evangelical seminary encouraging their students to actively spread the Good News of Christ. Phil Fields is standing here with the students as he encourages them in the Lord.